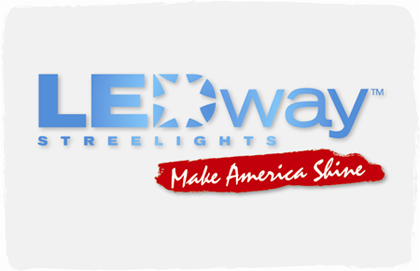 Ruud Lighting has requested us to help them launch a new brand of LED streetlights called LEDway™. 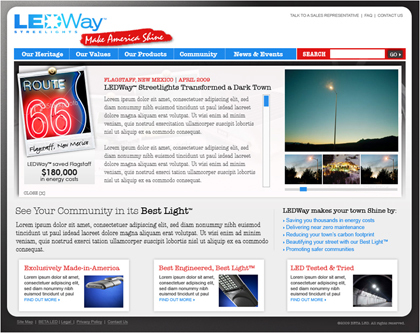 Since streetlights are viewed as a commodity, LEDway™ would like to be clearly positioned and differentiated from their competitors. 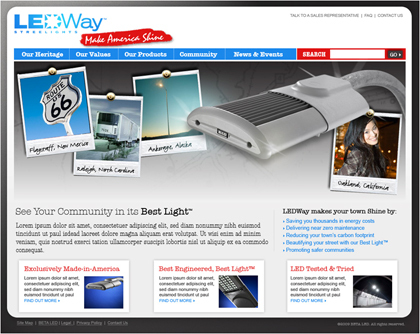 Evolution Point has taken on this challenge by doing a competitive analysis of the market, create brand positioning for the product, and provided strong strategic marketing tactics recommendations for the product launch. 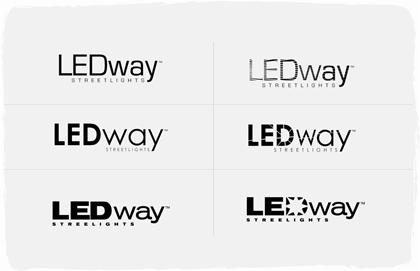 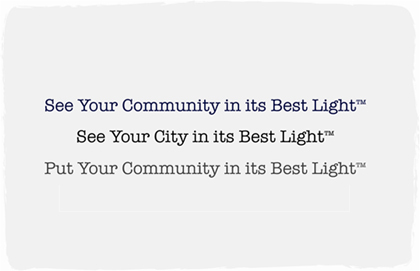 One of our first recommendations is to re-brand LEDway™ as LEDway Streetlights™ to clearly define LEDway™’s competitive space. 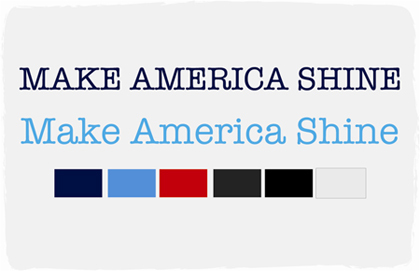 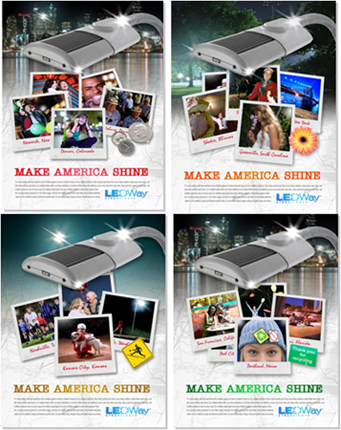 In the following slides, we will show the outcome of our analysis — our recommended two-phase national brand launch. 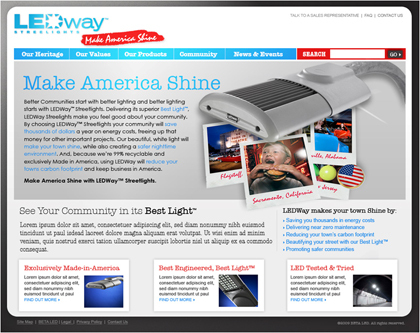 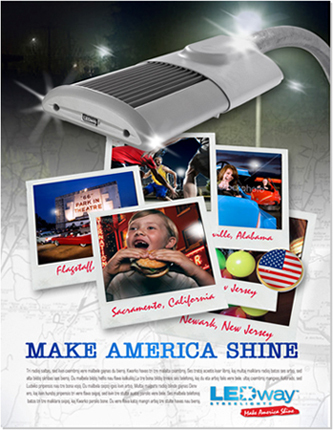 LEDway™ Streetlights have a proven history of transforming America with a superior quality light. 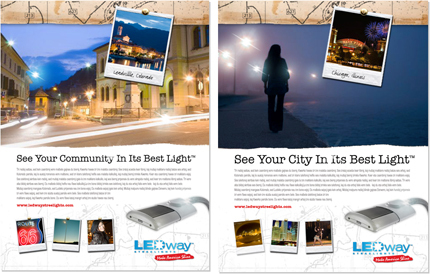 A ‘case study’ booklet, maybe like an Atlas, showcasing select towns that have been transformed by LEDway.